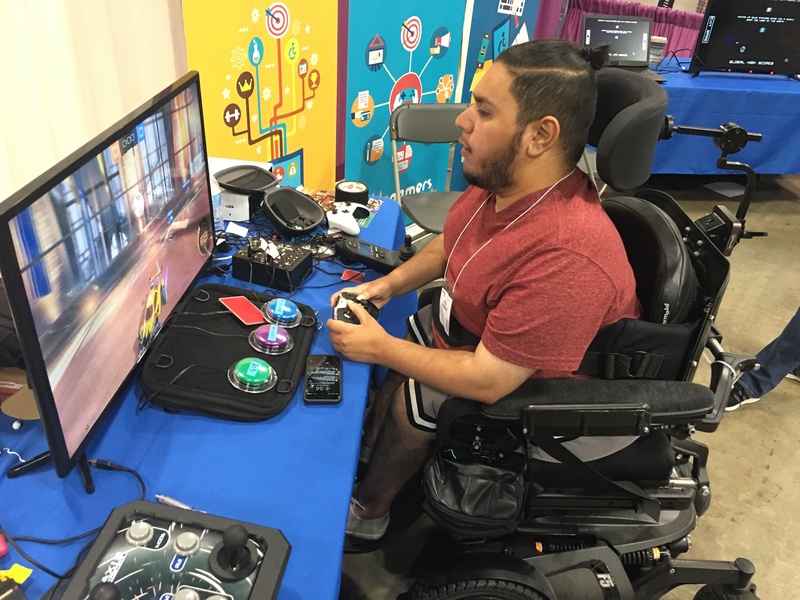 We utilize fun to bring inclusion and improved quality of life for people with disabilities through the power of video games. 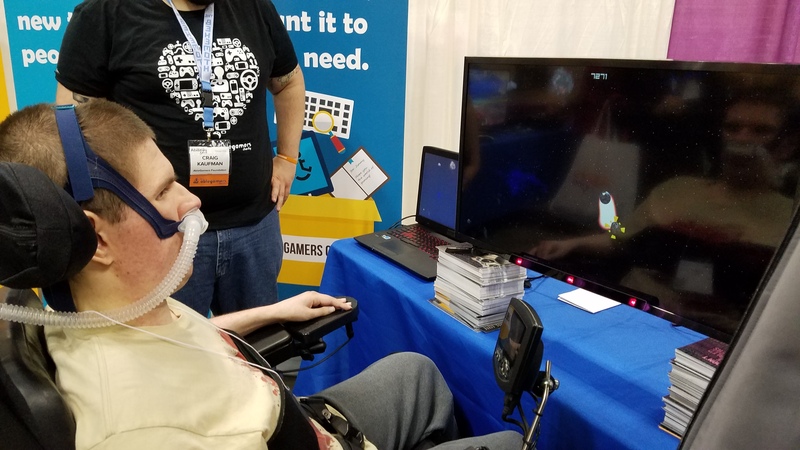 With a combination of technologies such as mouth controllers, eye gaze, and special customized controllers, we find a way for people to play video games no matter their disability. When our accessibility experts give assessments to determine the right set of equipment for each individual, we’re using the latest, bleeding edge technology to bridge the gap between ability and desire. Every disability is different. If there’s 10 people in the room with the same disability, around the same age, you’ll find a slight to moderate difference in the abilities of each person. That’s why there is no cookie-cutter formula to helping people get back into the game. 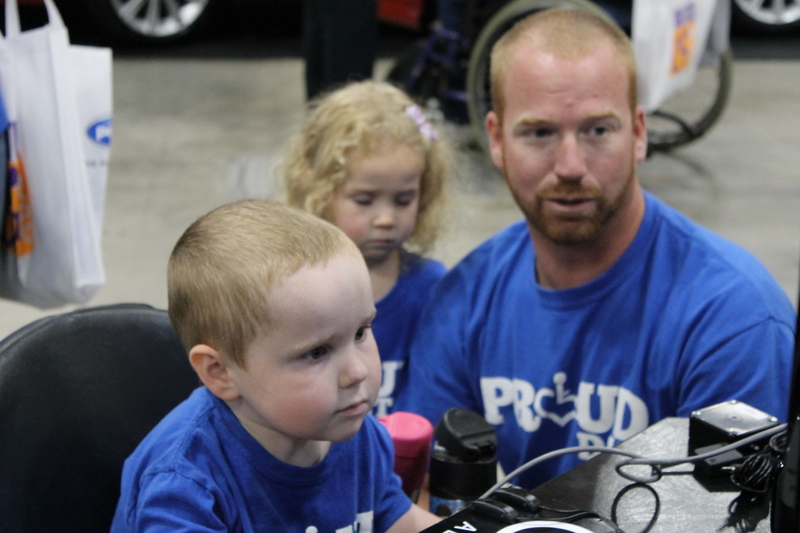 We take the time to talk to each individual, find out their specific needs and wants, their abilities and challenges, and projected prognosis, to determine the exact equipment needed to make gaming a possibility for everyone, no matter the obstacles in their way. We’ve modified regular controllers, built entire gaming setups, used eye-tracking in new ways, invented new techniques, and even built entire rooms specifically for people in need. We don’t sell anything here. Everything you see on this website and the technologies we recommend are all specifically tailored to each individual. AbleGamers doesn’t get anything from insurance companies or third-party sellers, so you’re guaranteed to get the best solution we can give, every time. Sometimes assistive technology is as simple as using Velcro to hold a controller in place or a rubber band placed around the trigger button to help give leverage on a hard-to-reach button. Other times, it requires high-end, extremely expensive customized equipment ranging from a PC with voice control and a dozen switches to operating a console with co-op controllers. The sky really is the limit. Can We Help You or Someone You Love? 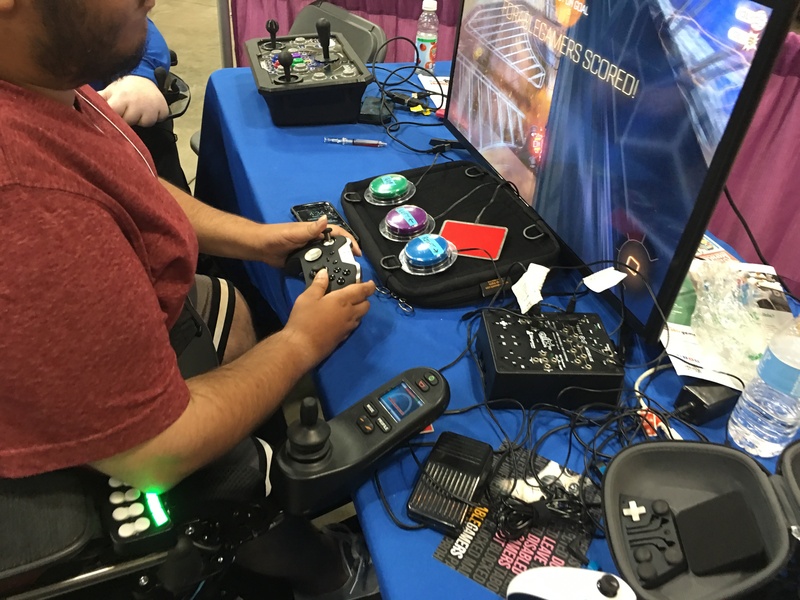 If you or someone you love has a disability preventing enjoying video games like they’re meant to be, we can help you find the right solution for any particular set of challenges. Our headquarters, located just outside of Washington DC, is stocked full of today’s hottest assistive technology. And if you’re not in the area, we can always do assessments over the phone, email or Skype. 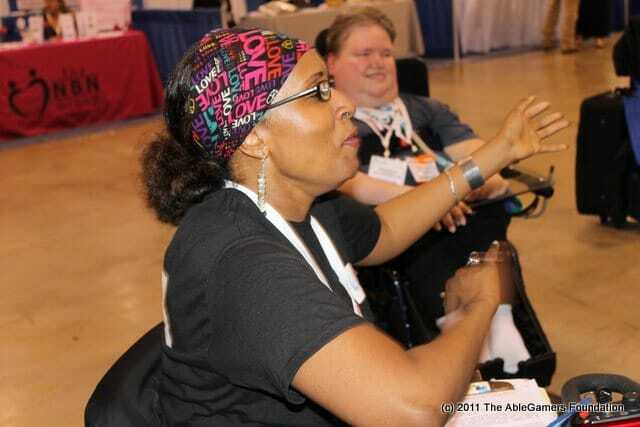 AbleGamers also has many locations around the United States that we visit from time to time. Maybe we’ll be coming to a town near you! You won’t pay one penny for any of our help. All of our services are covered by generous donors who enable us to help everyone we can, free of charge. In fact, many of our clients need financial assistance purchasing the equipment after the assessments and we do our best to make sure everyone in financial need gets the equipment they deserve. Reach out if you’re having trouble gaming due to a disability. We’ve never met someone with a disability we couldn’t help. Visit Our Services Page to get started. We’re only able to help others when generous people like you give donations, large or small, to enable us to keep giving these controllers to people in need. It’s not easy reaching the millions of gamers around the world who need assistance gaming, but thanks to loving and generous people like you, we’re slowly reaching as many as we can. 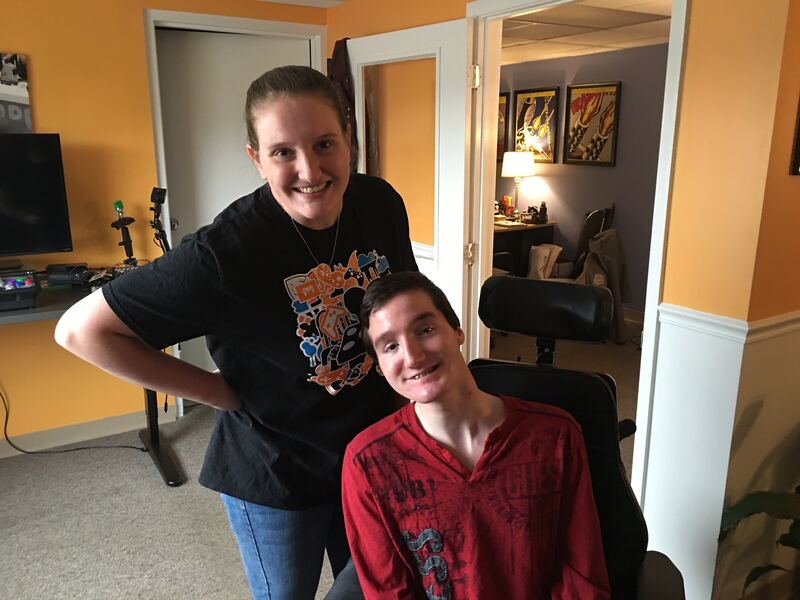 Our grant program operates as quickly as funds are available and that’s why we are so grateful to each and every donor, because without them, we wouldn’t have been able to help any of the thousands of lives we’ve changed through the power of video games and assistive technology. You can help in a number of ways. Donating directly gives $0.94 of every dollar directly to gamers in need. That’s one of the best ratios in the world, according to Charity Navigator. We strive to be transparent and responsible with every purchase we make. If you can’t give directly, you can always volunteer to hold a fundraiser either online or in real life. We’ve even made a handy guide on how to hold a fundraiser. It’s easier than you might think. 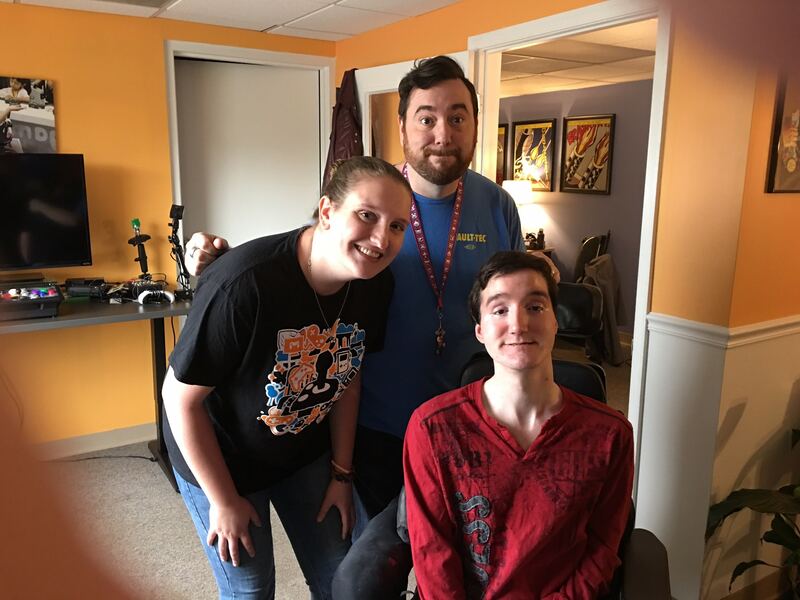 Simply answer a few questions on our fundraising website, then choose an activity like a carwash or an online stream to motivate your friends and family to donate to your event benefiting gamers with disabilities. 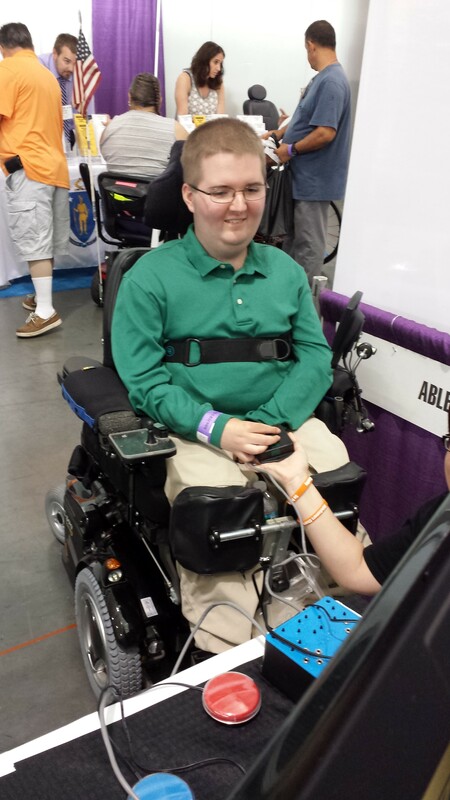 Words can’t express the gratitude we feel for each and every donation that comes in to AbleGamers. Allow us to say thank you from the bottom of our hearts for your support.